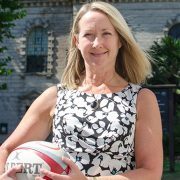 The third round of the RBS Six Nations 2016 see’s Eddie Jones coach his first match at Twickenham as England play the defending Six Nations champions Ireland. England enter the game with two wins from two having beaten Scotland and Italy away from home. While those performances have been far from perfect there has certainly be areas of improvement; the defence has yet to be breached and the bench has made match winning contributions in both games. For the clash with Ireland, Jones has made two changes to his starting XV. Joe Marler replaces Mako Vunipola at loosehead prop, while Maro Itoje makes his first start at second-row. The 21-year-old is one of the most exciting prospects in world rugby, with many feeling he will become a permanent fixture in the side and eventually be made captain. But current skipper Dylan Hartley has told fans to temper expectations saying: “Let’s just give him that game time and see how he goes, let’s not build him up too much and then knock him off his pedestal. On the bench Elliot Daly comes into the 23 and will likely make his debut at some point on Saturday. His versatility and form in the Premiership have impressed Jones this week and he is fully deserving of his place. In contrast the defending champions will arrive at Twickenham without a win and missing several of their big players. Joe Schmidt has had to deal not only with the loss of Paul O’Connell after the World Cup but injuries to Jared Payne, Sean O’Brien, Peter O’Mahony and Dave Kearney all missing the game at Twickenham. The New Zealand born mastermind has brought two debutants into his side for Saturday with Stuart McCloskey and Josh van der Flier replacing Jared Payne and Sean O’Brien respectively. Jonny Sexton continues at 10, the playmaker was targeted several times (including illegally) during the defeat to France and Eddie Jones has already made it clear that England will be doing the same, but within the laws of the game. 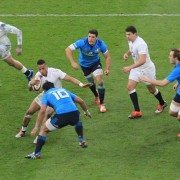 In the past two years Ireland have without doubt been the most well coached and tactically astute side in Europe, but are teams just starting to work them out? 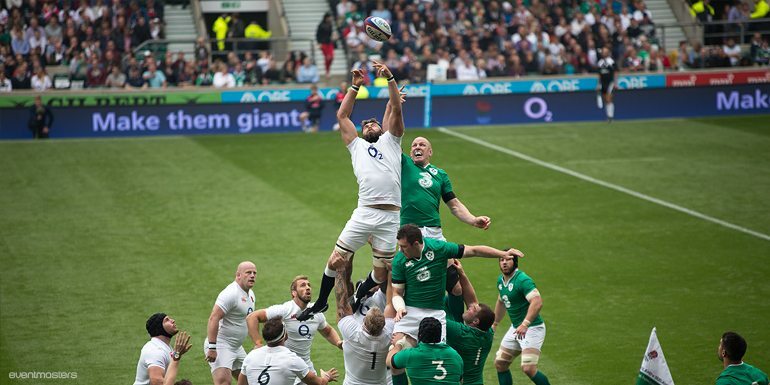 If you can deal the aerial bombardment, match the physical challenge and maintain shape in defence there is a feeling that Ireland could struggle to score tries. England have five of the last six encounters between the sides. They seem to be a team constantly growing in confidence, Ireland are still a world class side on their day, but can they cope with the amount of changes and injuries? This new England side is a very different animal in terms of mentality to the Lancaster era and they will be desperate to get a win at home. 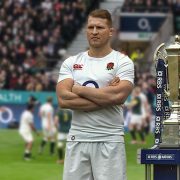 Please follow the link to our Twickenham Six Nations hospitality page.